Anna Valentine, publisher of Trapeze, has acquired World rights for Don’t Look Back in Anger: The Rise & Fall of Cool Britannia by Daniel Rachel. Rights were bought from Carrie Kania at Conville & Walsh, and the book will be published on 5 September in hardback. According to the acquisition statement: 'The Nineties was the decade when British culture reclaimed its position at the artistic centre of the world. Not since the Swinging Sixties had art, comedy, fashion, film, football, literature and music interwoven into a blooming of national self-confidence. 'It was the decade of Lad Culture and Girl Power; of Blur vs Oasis. When fashion runways shone with British talent, Young British Artists became household names, football was coming home and British film went worldwide. From Old Labour's defeat in 1992 through to New Labour's historic landslide in 1997, Don't Look Back In Anger chronicles the Cool Britannia age when the country united through a resurgence of patriotism and a celebration of all things British. 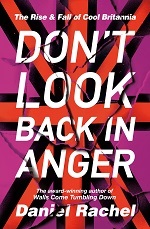 Valentine said: "The Nineties were my formative years, and despite my dodgy shell suits and Hypercolour T-Shirts it’s a decade that I have such fond memories of, so when I received the proposal for Don’t Look Back In Anger, I knew I had to publish it. But what Daniel has since delivered has now greatly exceeded my already high expectations. "The calibre of people he unites in this ambitious oral history is outstanding, as is the way he deftly weaves their differing viewpoints together to form a coherent, entertaining and compelling account of this most creative, dynamic and contradictory era in British history. Today, in an age where identity dominates the national agenda, Don't Look Back In Anger is a necessary and compelling historical document." Rachel said: "In many ways, Don’t Look Back In Anger reflects my own journey. I was comprehensively educated through the Thatcher years and caught between the appealing prospects of accumulating personal wealth whilst developing a social conscience through left-wing popular culture. I then spent the Nineties obsessed by Sixties music whilst fronting a four-piece guitar band in the slipstream of Britpop. 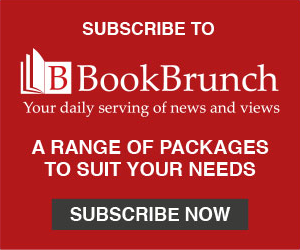 "I lived with a pop star – Simon Fowler of Ocean Colour Scene, a contributor in this book – and we wantonly explored the mind-expanding adventures offered by alcohol, clubs and chemicals. I spent long weekends in London, armed with an A-Z and a copy of Time Out, in search of the promise of discovering 'contemporary art', seduced by the allure of Camden Town, or hoping to receive an invitation to mingle with the hip crowd at the filming of TFI Friday. London had about it a buzz, but the term 'Cool Britannia' was divisive. The memory of this became apparent when I invited Jarvis Cocker to participate in the book. 'If it’s not called Cool Britannia,' he told me, 'I’ll do it!' Thankfully he did and Jarvis’ recollections of the YBAs, New Labour and the notorious Michael Jackson at the BRITS year is brilliant. It’s but one small contribution in an unforgettable decade." Rachel was the lead singer of the band Rachels Basement in his early twenties and subsequently released two solo albums in the early noughties. His first book, Isle of Noises, was named a Guardian and NME Book of the Year. His second book, Walls Come Tumbling Down won the Penderyn Music Book prize and was selected for the Radio 2 Book Club.